He is facing 148 felony charges for forging the signatures of dead people to obtain their land and then selling the properties illegally. 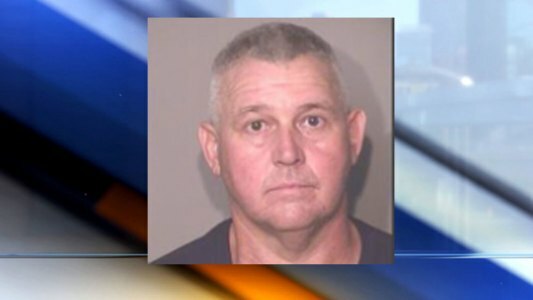 Alan Weierman, the man running a private military school in Port St. Lucie that has been investigated by the Department for Children and Families for 48 child abuse allegations, is now facing 148 felony charges in Osceola County for allegedly forging the signature of dead people and signing their land over to himself. It started with a tip to Detective Cody Wood with the Osceola County Sheriff’s Office. Wood said he has never seen any case like this before. After he received the tip, he pulled all the land owned by Weierman on the property appraiser’s website. Then he started contacting the people who supposedly signed over the land to Weierman. “When I got a hold of the family members, they were telling me that these people had been deceased for, some like up to 30 years,” Wood said. Weierman is facing 148 felony charges for forging the signatures of dead people to obtain their land and then selling the properties illegally. Weierman is also running the Southeastern Military Academy in Port St. Lucie. The school has been investigated by DCF for 48 child abuse allegations since 1994. Of the 28 reports Contact 5 was able to review, 16 had substantiated findings. For the full Contact 5 investigation on the school, click here . In April 2018, 15-year-old Austin Griffin said his teacher hit him. “I was terrified that if I went back that I would be hurt even more, if not killed,” Griffin said. Police found probable cause in the case, but the state attorney declined to prosecute. Before joining the school, Austin was part of Weierman’s summer camp out in Osceloa County. “Most people out here know him for, running the summer camp out here and that he does a lot of work with his Dirty Deeds company,” Wood said. Austin’s family’s lawyer, Linda Capobianco, said Dirty Deeds has another connection to the school. “Mr. Weierman will use the students as cheap child labor, free child labor, for his business,” Capobianco said. Austin told Contact 5 when he had to work for Dirty Deeds during school time. Wood said he hopes he won’t have to deal with Weierman again. “Maybe he’ll smarten up and stay out of Osceloa County,” Wood said. Weierman’s trial starts next week. His attorney, Robert Stone, canceled an interview at the last minute for this story but said he cannot comment on the criminal case. Stone said the child abuse allegations are false. The Southeastern Military Academy is currently closed for this school year, but school officials are not ruling out opening it back up in the future.